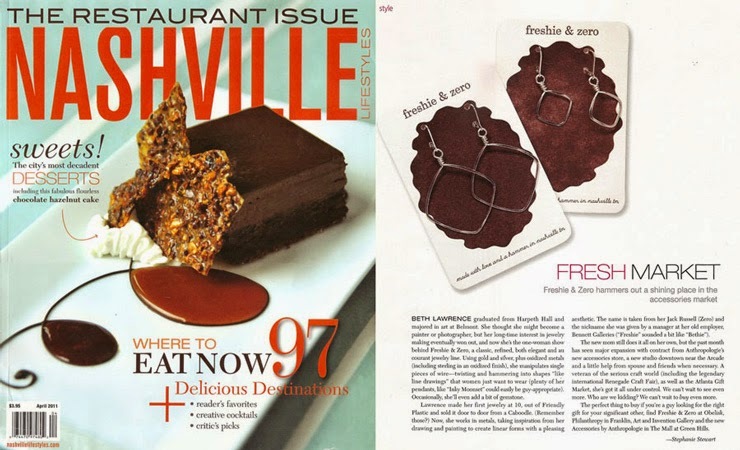 We love seeing our work in print, and 2014 was a great year for press for Freshie & Zero! Here are some of the press mentions we've had lately, including a feature article on the Etsy Wholesale blog! 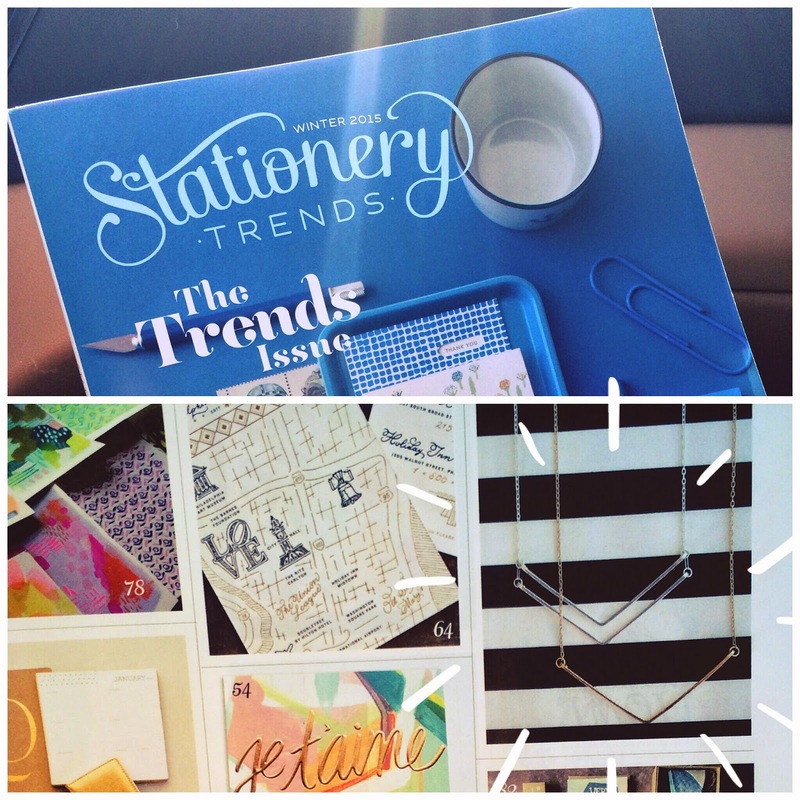 Our Chevron necklaces were featured in the Winter issue of Stationery Trends. 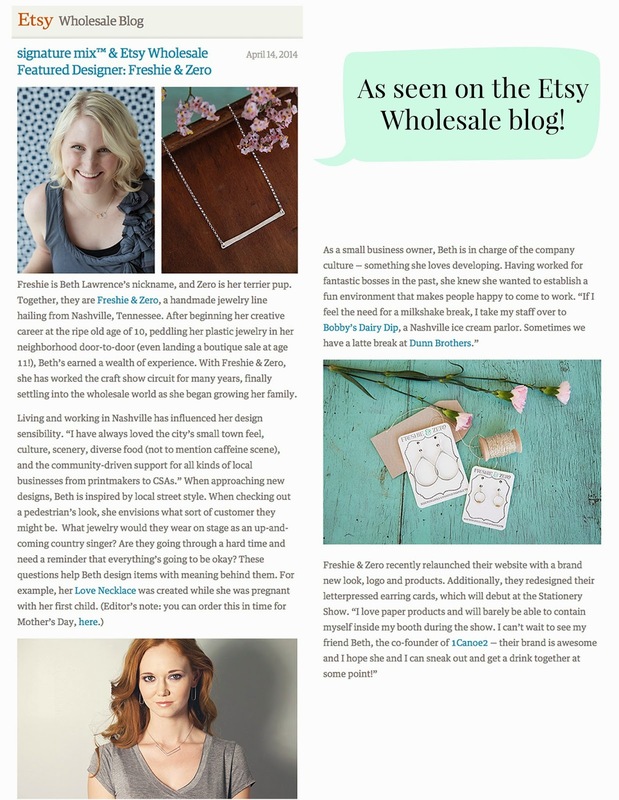 An exciting feature on the Etsy Wholesale Blog! 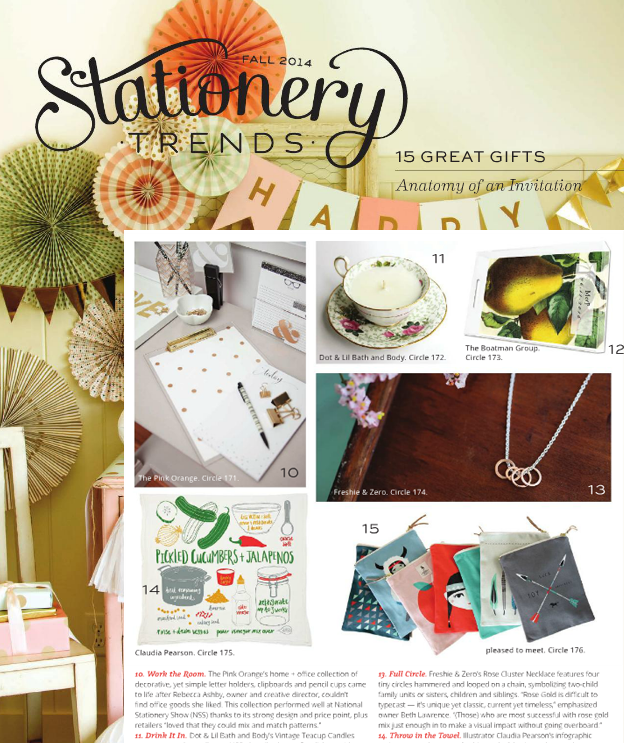 Our Rose Cluster necklace in the Fall issue of Stationery Trends. This one is actually older than 2014, but I forgot to share this awesome feature article!